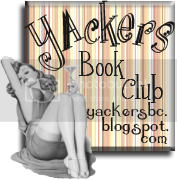 Not read any Carrie Ryan yet? Shame on you! 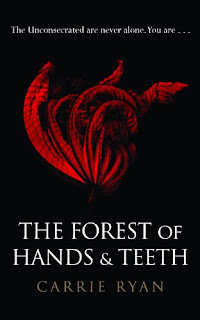 Vicki from Rhiana Reads reviews The Forest of Hands and Teeth - one of the most beautifully written books out there at the moment. There was a time, in the not so distant past, when the idea of reading anything concerning zombies would have had me wrinkling my nose in distaste and running for the prettiest, pinkest book I could find. A sworn girly chick lit fan, I’d presumed that it would be nothing but tacky, bloodthirsty gore and not something I’d enjoy at all - no thank you. Then I picked up Carrie Ryan’s debut novel, The Forest of Hands and Teeth and was proved completely wrong. Set in an unspecified time in the future where zombies have overrun the world (or in this case, the unconsecrated), Mary’s village appears to be the home of the last survivors of the human race. Protected by a fence separating them from the forest beyond where it’s believed nothing but the Unconsecrated exist, very little is remembered of life before the sickness which sees the dead return. But Mary’s mother has memories, passed down from her many great grandmothers and in turn has passed them onto Mary. One in particular captures her imagination and longing, the Ocean. When the safety of the fence is breached and the village falls to the Unconsecrated, it’s this longing that drives Mary to survive, but is she prepared to do so at the risk of her own family and loved ones. What if the memories passed onto her by her mother are nothing more than stories and there really isn’t anything beyond the Forest of Hands and Teeth? Despite having reservations I was hooked by The Forest of Hands and Teeth from the very first page. Carrie Ryan’s rhythmic and tragic writing style completely captured me and drew me in. I found the harsh and desolate world she creates in the village completely believable and the constant threat of The Unconsecrated tense and menacing. The Sisterhood, a religious sect who govern the village, add a mysterious dimension and gave the village an almost cult like feel, making me wonder at times whether the threat to the survivors wasn’t only from the outside. The book is told in a first person point of view from Mary and I found I really connected with her, even when I couldn’t understand or agree with her motives. She’s unwilling to accept that there’s nothing other than their village and the unconsecrated and yearns for an ocean she doesn’t even know for sure exists anymore. At times her desperation to seek more is selfish and driven, putting the lives of others at risk. She’s not always likeable but she is admirable. 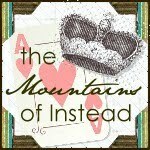 Imagine if the pioneers from our past hadn’t taken that risk to step into uncharted territories? We wouldn’t have the world we have now. I imagine they must have been something like Mary, focused and determined in their belief that there is something more, even at the cost of others and their own lives. There’s also a love triangle between Mary and brothers Harold and Travis which I thought was beautifully and realistically written and the flaws and weaknesses it reveals in Mary make her all the more believable and convincing as a character. Having never read a zombie book before, I wasn’t sure really what to expect from The Unconsecrated. They are truly terrifying; their constant threatening presence is menacing and gripping. Yet at the same time I felt sorry for them. I guess I was expecting evil and senseless violence, and don’t get me wrong they are horrific in their one and only quest to seek out humans and kill. However becoming unconsecrated is like an illness, a plague. In one scene early on in the book, we see the transformation of one of Mary’s family into unconsecrated and it’s heartbreaking. There is something shockingly tortured and pitiful about Carrie Ryan’s living dead, which makes the book all the more haunting. 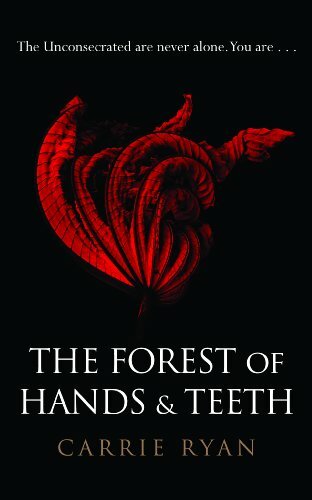 The Forest of Hands and Teeth pretty much blew me away and completely changed my opinion on Zombie books. It certainly isn’t a pleasant, fun read, as it’s very dark and tragic. But it is always gripping and Ryan’s beautiful prose captured me emotionally and had me hooked throughout. I finished the book in less than a day and couldn’t stop thinking about it afterwards. Mary’s fight for survival and determination to find more makes her an admirable character and her flaws give her real depth. Most of all I was completely convinced by Carrie Ryan’s world of the Unconsecrated, something I hadn’t believed I would when I set out. I’m glad I gave this book a chance and I’m now a convert to zombies and will be looking out for more! Many Thanks to Sya for inviting me to take part in her Week Of The Living Dead here at The Mountains Of Instead. A musical delight - singing zombies, who knew?